Dr. Mayumi Kikuchi was diagnosed with cancer in 2012, and while she was undergoing cancer treatment, she turned to Stewart’s Caring Place, an Akron Cancer Wellness Center that provides many services for cancer patients and their families. They provided essential help for Dr. Kikuchi and her family. Now that Dr. Kikuchi has beaten cancer, she and her family want to give back. “It was really important to have that support,” Dr. Kikuchi says. She and her daughter Marina wanted to find a way to thank Stewart’s Caring place, and as University of Akron Professor of Piano, Dr. Kikuchi is in the position to do so. 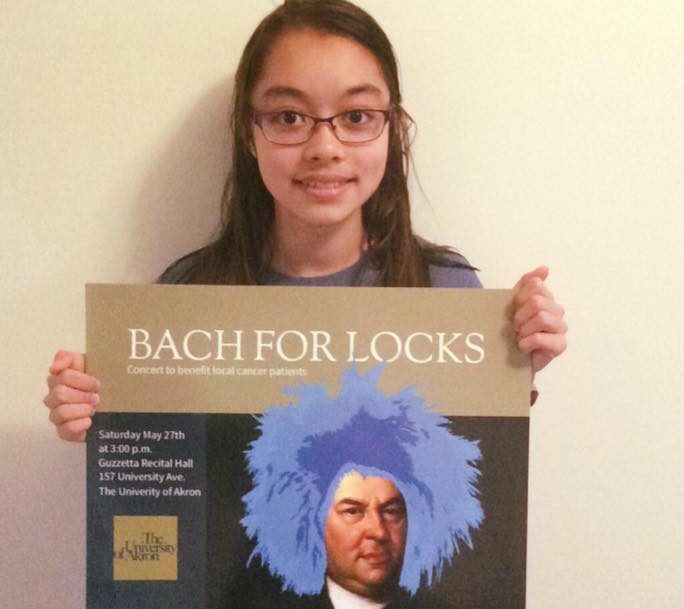 The two of them have organized Bach for Locks, a fundraiser concert with outstanding performances by many local professional musicians, including members of the Cleveland Orchestra, the Cleveland Institute of Music, and University of Akron music faculty. James Wilson, son of University of Akron President Matthew Wilson, will also be performing at the event. James, though only 15, is already an accomplished concert pianist and is also a cancer survivor. Tickets for the event can be purchased on Eventbrite.com. After the performance, there will be a bake sale, a raffle (with gift baskets donated to the event by St. Hilary, Marina’s school) and a reception. The concert performance will take place in Guzzetta Recital Hall at the University of Akron on Saturday, May 27 at 3 pm. All proceeds from the event will go to Stewart’s Caring Place.